The nice thing about hosting a dinner party is that you control the menu. There’s always a risk that if you show up for someone else’s dinner party, there will end up being an open bar or an extensive wine list. If you host your own party for family or friends, you can pick out a great selection of music, prepare some new foods and provide plenty of non-alcoholic drinks for the guests. Working out helps you stay in tune with your body and realize your potential. Jogging, yoga, swimming, weight lifting, cardio and other activities will help with goal-setting, and the constant improvement from working out is a big confidence booster. If you purchase a gym membership, you’re likely to make new sober friends and meet others who are into taking care of their bodies. Golf is another great exercise that you can do alone or with a group. There are some amazing national parks and outdoor areas within just a few hours’ drive of SLC. Head out of town on a Saturday morning and stay the night for a camping trip. Go for a hike! Get a fishing license and try your hand at catching and preparing your own food. Connect with nature, get some fresh air and recharge your batteries by getting out of the busy city for a day or two. Giving back some of your time to help others is one of the most rewarding things you will ever do. You can volunteer at a homeless shelter, a food bank, an animal rescue shelter or any number of church ministry activities to help others in the local community. Sober activities that involve giving back to the community will help you stay centered and keep your mind on the “bigger picture” in life. Nothing teaches patience like growing your own vegetables, herbs or flowers. You don’t need to have a spare acre in your backyard to plant a garden. Even if you live in an apartment, you can still grow smaller plants in a patio garden or on your kitchen counter, as long as your plants can get some direct sunlight during the day. These suggestions for sober activities to help you get started down the Road to Recovery. 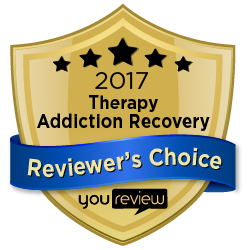 At the Pathways recovery treatment center, we understand that there is no one-size-fits-all program for treating addiction. Our holistic discovery and empowerment model as an addiction rehab center allows us to serve our clients in ways that are most likely to succeed. We accept most insurance and we even offer financing for treatment services. Call us at 801-895-3006 if you’re ready to begin your journey to recovery! Contact us today for a free consultation.